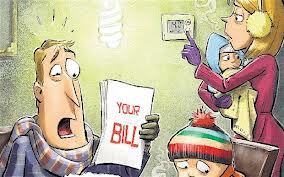 I have received my Electric Bill from DESA for Tk. 12.050.40 for a period of 2 months. My last few month’s Electric Bill never cross one thousand taka. The bill definitely seems to be inflated, as I know for several that our consumption electricity is not so high as to warrant this kind of high bill. I therefore, wish to get the meter checked at my cost, as early as you possibly can.